Two men are dead in a double homicide in Chipman, Alberta, and a suspect is in custody, RCMP said Monday. 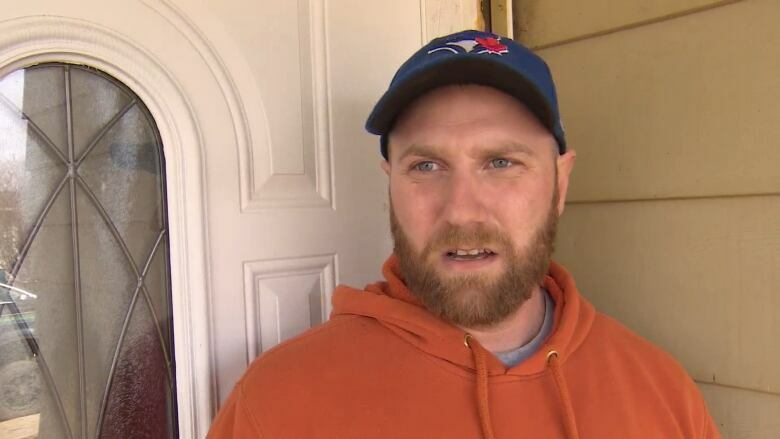 A Chipman resident roused from his bed late Sunday by the noise of shotgun blasts says he discovered two men dead at a neighbouring house that has been a source of trouble in the past. 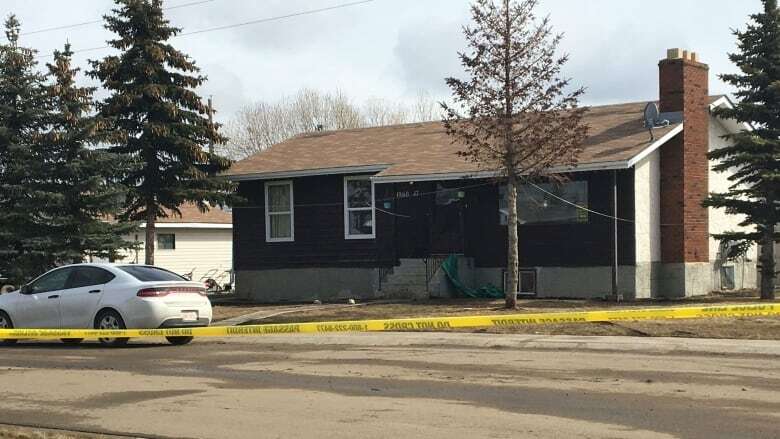 "Around 11:20ish, 11:25ish, probably, I heard five shotgun bangs," Don Henderson said Monday at his home in the village 43 kilometres east of Fort Saskatchewan. "Got up, got dressed, ran outside my house, ran to my neighbour's property and I saw one man at the bottom of the landing outside the house with a shotgun wound to his head, and another man laying up on top of the stairs, kind of half in, half out of the house," Henderson said. "Two dead." Henderson said he thought the victims had come from a house across the street from the property where they were killed. He saw the wife of one victim holding him, Henderson said, explaining he knew the couple. "The man's wife, the poor girl, was holding her husband, the one that was at the bottom [of the steps.] She was holding him and I guess wishing that there was still some hope for him. But I don't think he … he obviously wasn't that lucky." Henderson said he could see a man with a gun inside the house "walking around inside his front room," he said. "So once I saw that I hightailed it back to my house and called 911." RCMP say they have one suspect in custody in the killings, which are being treated as a double homicide. Cpl. Laurel Scott said she believes the suspect was taken into custody at the home where the bodies were found. RCMP don't believe the incident was a random event. "Whatever information that they have already or the details that they've gathered already leads the investigators to believe that this was not just random," Scott said. As Henderson was talking to the police, his pregnant wife took their three daughters to the basement to hide, he said. They locked all the doors. "I stayed outside with my neighbour, that way we could try to lead [the shooter] away from our houses if need be, and we were on the phone with 911," Henderson said. He said it was around 11:30 p.m. when he called 911. But the RCMP didn't show up until after midnight. Scott said Fort Saskatchewan RCMP arrived on scene in 30 minutes. Police had one person in custody within 41 minutes of officers being dispatched, she said. Other people could have been hurt in the time it took for police to arrive, he said. The people who lived in the house where the killings took place were well known to police and to neighbours in the village of 270 people, Henderson said. Henderson said he saw police take three people into custody. He described them as a mother, a father and a son. Neighbours had been concerned about the people who lived in the house, he said. "Our experiences with these people were nothing but negative," he said, adding they intimidated others, including his wife, and were always having parties and riding dirt bikes and quads at midnight. "Just something's not right about these people," Henderson said. "This has been a recurring thing in this town and I believe there's been meeting after meeting with the RCMP, and I believe maybe even on a monthly basis, to try to figure out what we can do to get them out of this town." About 11 p.m. Sunday, sometime before he heard the shotgun blasts, Henderson said he thought he heard fireworks "happening down the street.". When he later heard the gunshots, "you could tell they weren't fireworks," he said. Angie Thurston, another neighbour, also heard "popping" noises that she now believes were fireworks. Later she heard a succession of four or five gunshots, she said. Her husband then went outside. "He heard some screaming, called 911, and they told us to get in the basement and kind of keep low, don't go near any windows or anything because they didn't know what was happening," Thurston said. "I was terrified. I was actually shaking, and trying to keep the kids quiet." They didn't come out of the basement for about 45 minutes, she added. Henderson said ​RCMP have attended the home where the shootings happened "at least twice a month." 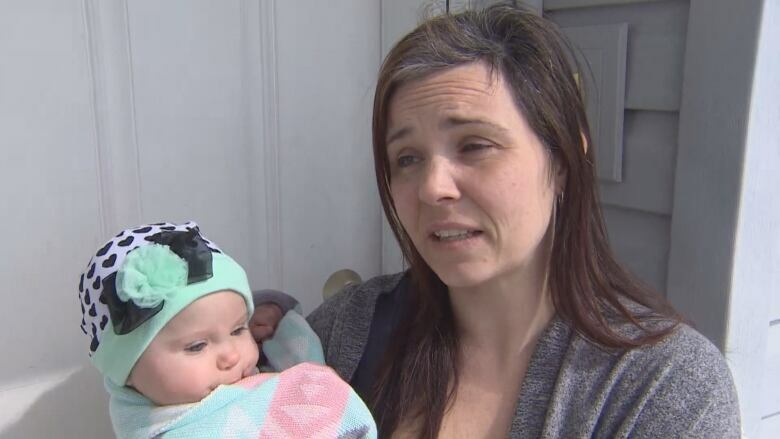 He is now questioning his decision to move to Chipman from Edmonton eight months ago, suggesting if there is trouble in Edmonton, "it might take under five minutes for a police officer to respond and get to your house." ​Chipman has a population of about 270 people. It's on Highway 15 between Lamont and Mundare. RCMP major crimes investigators are in charge of the case.